What size? How many characters? When to post? At the loft, we love social media… It allows you to share all your lovely content on multiple channels to lots of different people. However, the channels are busy places – nobody wants squished images, cumbersome copy or worst of all – to post and find nobody’s watching. Thankfully, we’ve compiled this handy guide to help you work out your sizes, character counts and when to post? 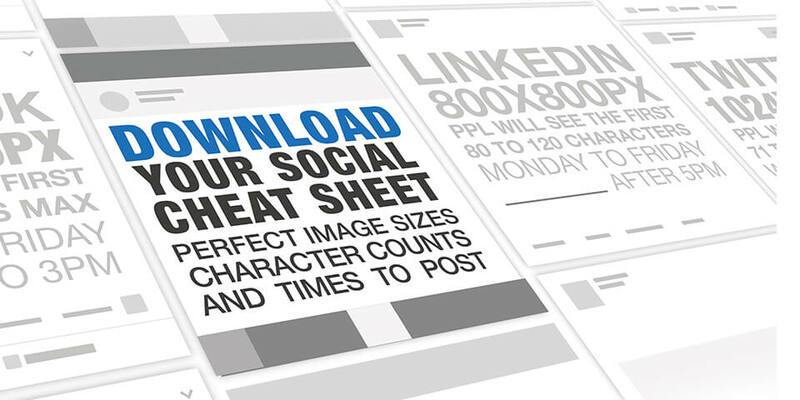 A modern-day marketer’s dream – this is your social cheat sheet.